The field of healthcare informatics is rapidly evolving. The new models and protocols of medical information system (MIS) are developed. Despite obvious advantages and benefits, practical application of MIS in everyday practice is slow. Cloud computing have emerged as an important new field, distinguished from conventional distributed computing by its focus on large-scale sharing, innovative applications, and, in some cases, high-performance orientation. 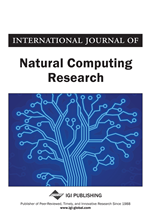 “Cloud computing” the authors are going to define as flexible, secure, coordinated resource sharing among dynamic collections of individuals, institutions, and resources. Cloud computing is a new way of delivering computing resources and services. It is plausible, that this technology has more potential and can improve health care services, benefit health care research, and change the face of health information technology. This can be solution for widespread and effective implementation of the medical information system. The present article will discuss the application of cloud computing for the medical information system practical usage. The ideal of healthcare in the information age must be to create knowledge from medical information and less time managing medical information and data. The application of easily available and adaptable technology and improvement of the infrastructure conditions is the basis for medical informatics applications. The usage of MIS holds the potential to improve, develop and realize medical service in the effective and comprehensive mode. There is a very clear need for the expanded application of information technology (IT) in healthcare. Clinical workflow still depends largely on manual, paper-based medical record systems, which is economically inefficient and produces significant variances in medical outcomes. Medical information system (MIS) is at the heart of IT implementation policies in healthcare systems around the world (Clamp et al, 2007). Most of these policies are based on beliefs about the positive value of MIS rater than on the available empirical evidence; as a result, policy documents comprise aspirational statements rather than detailed and realistic expectations (Banta 2003). It is obvious and well known that the field of healthcare informatics is rapidly evolving. The new models and protocols of MIS are developed. They are based on implementation of profiles such as HL7 and DICOM. Despite obvious advantages and benefits, practical application of MIS in everyday practice is slow (Detmar 2001; Clamp et al., 2007) Research and development projects are ongoing in several countries around the world to develop MIS: examples include Canada, Australia, England, the United States, and Finland. MIS is used primarily for setting objectives and planning patient care, documenting the delivery of care, and assessing the outcomes of care. It includes information regarding patient needs during episodes of care provided by different healthcare professionals. The amount and quality of information available to healthcare professionals in patient care has an impact on the outcomes of patient care and the continuity of care. The information included in MIS has several different functions in the decision-making process in patient care. It also supports decision making in management and in health policy (Lane 2006). The term globalization involves a complex series of economic, social, technological and political changes seen as increasing interdependence and interaction between people and companies in disparate locations. The phenomenon of globalization has already reached the medical field, most importantly in the areas of knowledge, diagnosis and therapy. The access of as many people as possible to these areas should be guaranteed by a technically efficient man-machine interacting system and by an effective organization of specialists around the world. An efficiently operational and organized exchange of medical information increases the quality of diagnosis and therapy, and assures the training and continuous education of the medical personnel. The main task of a medical information system is to enable medical non-experts to gather, exchange and discuss relevant data at any time with experts at any place of the world. A wise conception of such a structured dialogue for consultations and continuing medical education is based on a user-friendly, fast, simple, efficient and sustainable system for the exchange of medical information (Detmer 2000; Detmer 2001). Several years ago any talk related to the Internet would have to be proceeded by an explanation of what it is and how it works, but at present information and communication technologies (ICT) became the essential part of our life and practical activity. eHealth can be designated as a special form of ICT; as a method of delivering of medical services by electronic means of communication, with the provider and the recipient of these services being at different places.